This year’s new year’s card is an ever changing collage of photos that you can define yourself. Our card cycles through our photos from the second half of 2012. 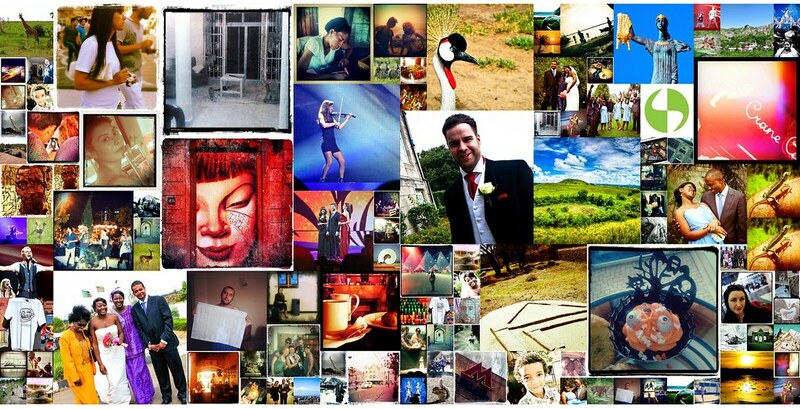 The one that cycles through photos from the whole of 2012 is rather heavily laced with photos from one particular wedding. Nice, but with the two weddings this year, we don’t want to wrong foot anyone. The code which builds the ever changing collage allows you to build your own. For example, you could have your digital picture frame, telivision or screensaver show an ever changing and continuously updated collage of photos from, say, Istanbul, Iran or Thailand. Or you could make combos, like hipsters in New York or flowers from Holland. Some magic was borrowed from Antonio Lupetti, David Wilkinson and White Hat. Note (April 2015): The URL was retired. A nice alternative is the iOS app Sliders.